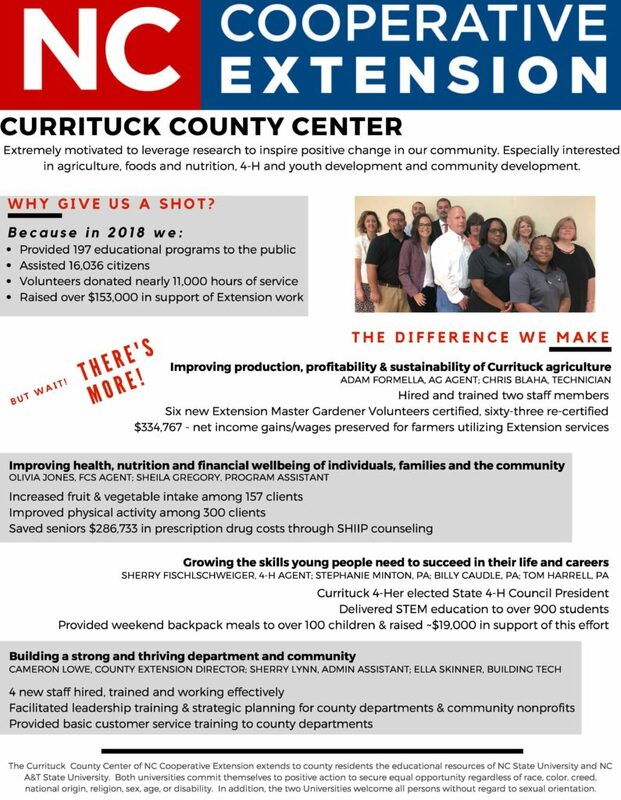 Stay informed with the latest news and program information from the Currituck County Center of N.C. Cooperative Extension with our monthly online newsletter. To view E-News & Monthly Impact Videos from 2018,2017, 2016 & 2015 click here. Check out our new Healthy Video Series!